Keeping your cool while driving is really important, especially in a place like Dubai where the temperatures can soar to 50 degrees Celsius. Driving a car with a faulty or non functional AC can lead to road rage faster than anything else. The car AC by its very nature is a safe haven for odor and disease causing bacteria that can cause a wide range of respiratory illnesses. This is why though there are many Dubai A/C repair workshops, it is important to choose a garage that is staffed by technicians who know car air conditioning systems inside out to safeguard your health and your vehicle. 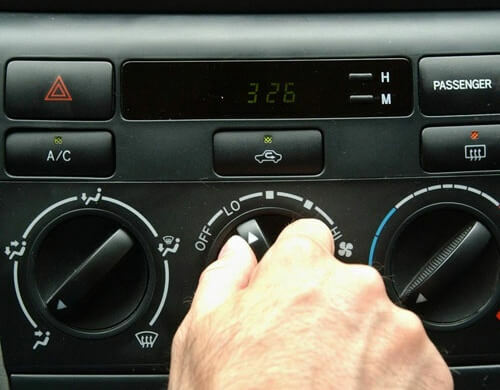 All the parts of a vehicle’s AC system like evaporator, condenser and compressor need to be serviced regularly so that you can keep your cool. 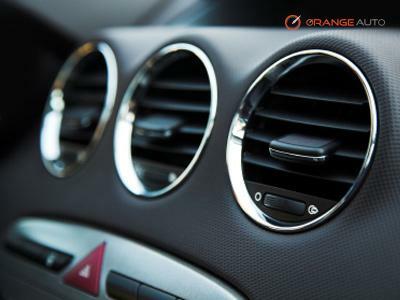 If your vehicle is not cooling as it used to and is smelling a bit musty due to the presence of odor causing bacteria, then it is time the friendly technicians at Orange Auto had a look at the AC system. As in the case of all components, we use only genuine spare parts to replace AC components from valves to evaporators. Yes, it might be cheaper to use fake parts, but you will end costing you a lot more on a long term basis. Orange Auto is one of the few reputable garages in Dubai that uses only genuine parts. Our AC Service involves thorough cleaning, special sanitizing treatments, and checking and topping up of refrigerant levels. Before you hit the roads, make sure your AC is up to the trip with a visit to Orange Auto. In addition to AC services, we offer other services such as 3M car tinting,3M car detailing and a range of tire services including wheel rim repair and refurbishment.